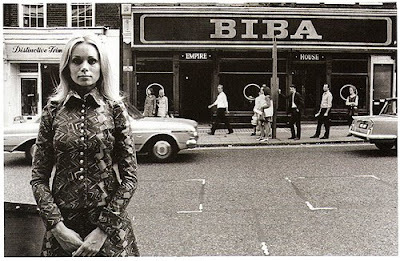 Twiggy in the Big Biba shop floor, In Kensington high street. On Monday 26th October, 6.30pm I went to the film and Q & A with Barbara Hulanicki at the Cochrane Theatre, part of Central Saint Martins. 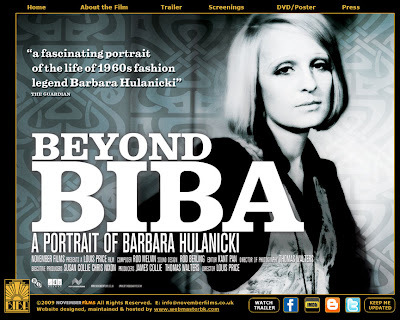 Showing the Beyond Biba documentry film, it was about 50 mins long. 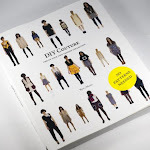 The film went through her life, talking about her shops her husband and her life now in Miami. The question time at the end of the film, was quite intresting. 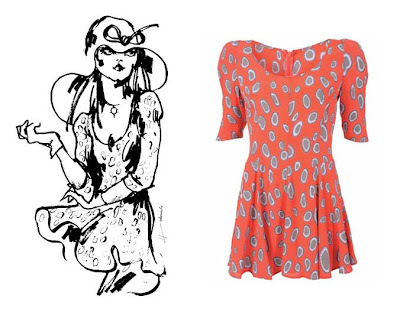 With her disgust at being asked if she wears vintage clothes, she likes designer clothes such as Alexandra Wang. The director of the film asking the questions from the audience, his mother worked for Barbara, and was part of the buying team for Biba. 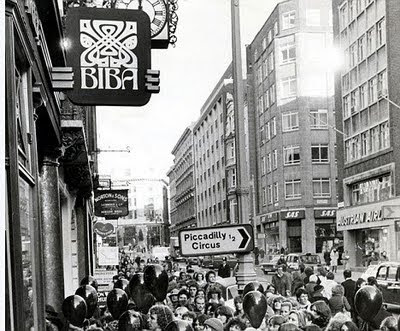 The film was good, however if someone is watching it and know nothing about Biba I feel it skims the surface of the whole lifestyle and era of Biba. I feel a full length film is needed to show the full extent, and show all the wonderful clothes and surrounding products from Biba.